Hello and happy Friday! I'm looking forward to a couple low key days after a busy week! Every time I share the pantry I get questions about the fork and spoon (go here to learn more about those) and how I hung them. I've been meaning to tell you more about that! While I'm at it I figured I'd share a few of my tricks when it comes to hanging art around our house. First up -- when I have anything heavy to hang I always use an anchor. Usually with an anchor you have to find a drill bit that matches the size of your anchor, drill a hole in the wall, then insert the anchor and the screw. Too many steps, I got stuff to do. So much easier and quicker! 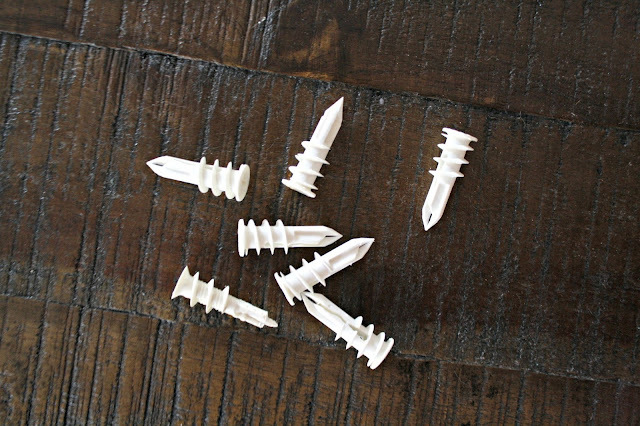 You just use your screwdriver or drill to screw them into the wall and then put your screw in. The only issue I have with them is they make a bigger hole than a regular anchor -- so if you need to fill it later you'll have more to patch up. Otherwise, they are my faves! You can get different sizes depending on the weight of your art or mirror. Again -- quite a time saver. Instead of measuring and leveling and putting two holes in the wall, you just use one and it's way easier to hang. Take a scrap piece of wood (I use a paint stick) and drill a screw into the end. Make sure it goes through the back at least a little. The screw leaves a mark where you'll want to put your anchor or drill your screw. Brilliant. Makes life SO much easier! 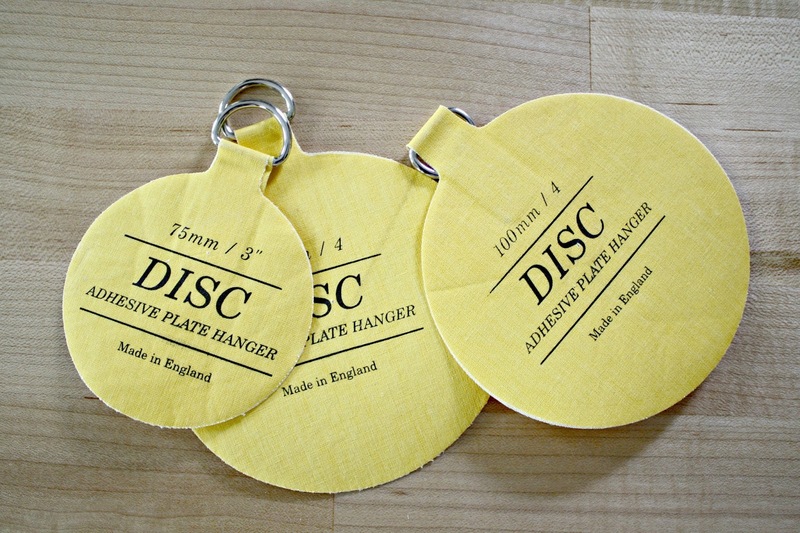 If you haven't used these disc hangers, then you need to get some! They were created to hold plates on the wall but I use them for all kinds of things. I've had these since my early days of blogging and they always work great. You wet the back and they get sticky -- you'll stick them to your surface (works best with paper or ceramic) and then let them dry before hanging. Make sure you follow the directions or it may not stick well. The strength will also depend on the item. They've held up great for years and we open and close that door numerous times a day. They are easily removable too -- if you use the sticky back you can soak it and it comes right off with no residue. Have you tried any of these tricks in your home? Any you use I didn't mention? Great tips as I've used most, however, life changer on such a simple tip: connecting two hooks with string or wire. SMH! Why didn't I ever think of that?! Awesome, thanx! When the pictures want to shift you use the tacky poster adhesive stuff. Just roll a ball for each of the bottom two corners, push it against the wall, and done! The picture won't move at all. The best fix is when you get a bit off on frames that need to be lined up. You grab some of the tacky stuff and put it on the corner you need to adjust. Smoosh it down and line up your corner to the next picture! Now you don't have to re drill or start over! One day I finally just went around and stuck all my pictures! Such a great feeling--no more shifting! 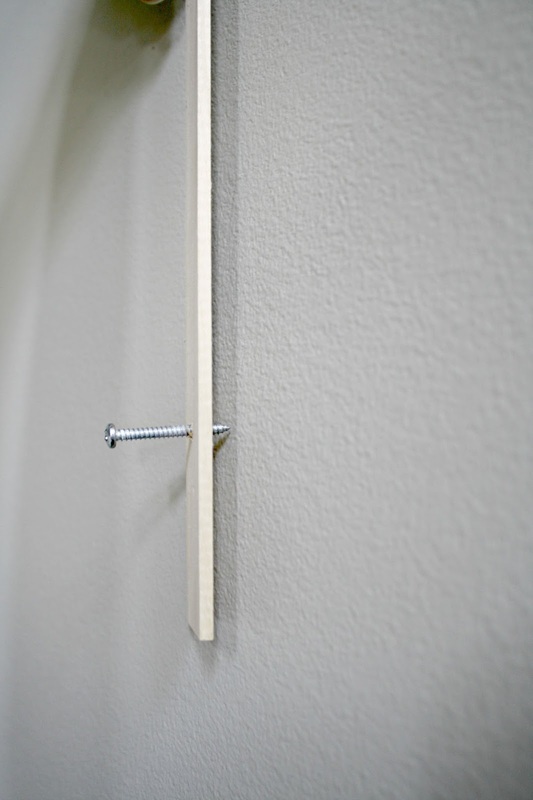 When it comes to hanging pictures and mirrors, I prefer using Legs drywall anchors. I discovered them years ago when I was a young renter in college. They have two parts, a metal, flat wall anchor that is tapped into the wall and a screw that is inserted into the anchor. The best part is that if you ever want to remove it, you just remove the screw until it's just barely threaded in the anchor, then pull both pieces out. All you are left with is a slit in the wall to fill, not a big hole. Plus, you can then reuse the anchor, over and over and over. They can be hard to find. The big box home centers don't carry them, but I can usually find them at a Westlake-type hardware store. How would you hang an old window? It is fairly heavy. We used a french cleat, which works great, but now you can see the bottom half of the french cleat thru the glass. Suggestions? This is a large window with and arched top. I hung my old ones by adding hooks to the back (picture hanging hardware) and then using heavy duty picture wire to hang from a screw in an anchor. (I made it so the wire hung along the thicker part of the window. You could also install picture hooks to the back and then hang that way. They are tiny. Just as an FYI sometimes the tacky stuff leaves an oily stain on the wall. I use Command strips for everything now. Love them! Just so you know, I haven't had the best experience with those discs. Twice, after a year or two, plates that I hung on the wall came crashing down and broke. Both were antiques, so I'm going back to those metal plate hangers. 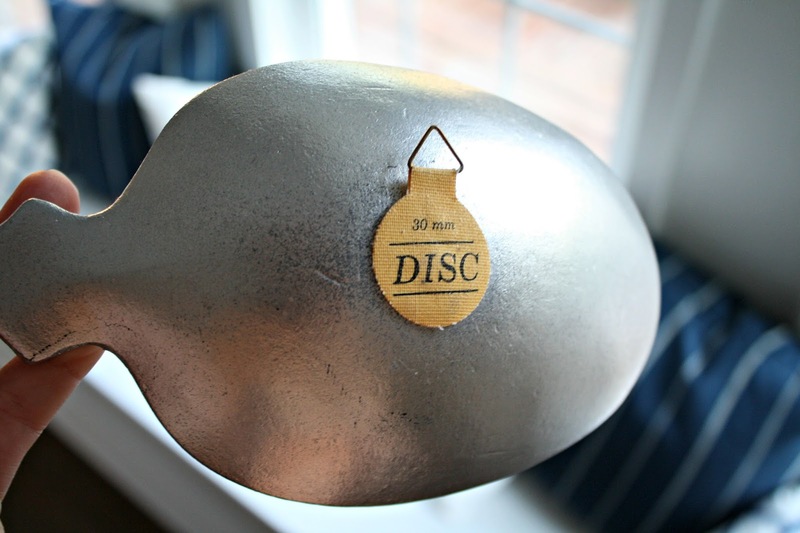 Do you hang the discs on the screws or whatever they come with or do you hang with one of your other methods described but just using the disc to make your item "hangable." Hope that makes sense! Because looking at the picture on amazon, it looks like the little screws that go into the wall that they provide may not be very strong, which is why jo above may have had hers break??? I didn't get any screws with mine so I just use a nail or a screw in the wall. I would definitely use something long enough or heavy duty that would hold the weight. You could be right! To keep pictures from getting bumped and hanging crooked...I put a sticky dot (from the craft store, usually used for attaching small objects to papercrafts) on the top of a regular thumb tack. 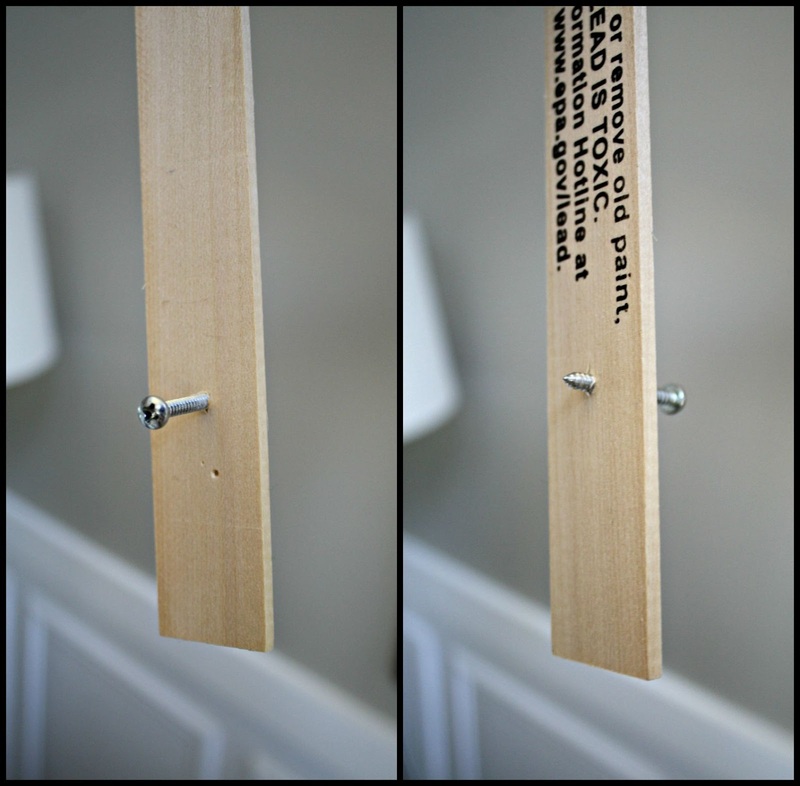 Then, put the sticky dot/thumb tack on the backside of the picture frame. I usually put the thumb tack on the lower right hand corner of the frame. Then, simply push the thumbtack into the wall. No more moving around and you can simply remove the thumb tack at any time...no wall repairs or sticky residue on the all. 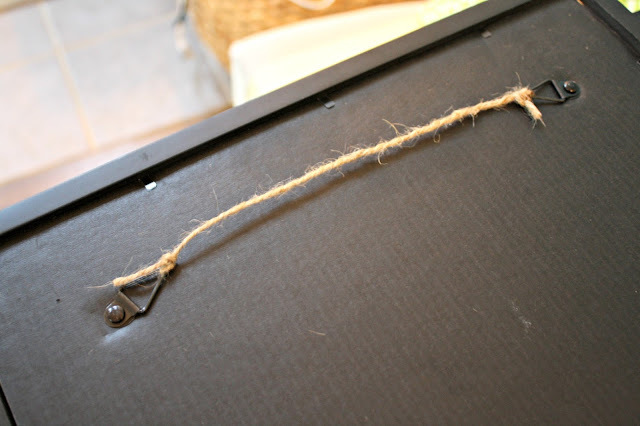 If you want to hang something small that has holes in the back, like a power strip, you can make a photo copy of the back. You then tape that to the wall and you can put your screws in the exact spot needed. I've used this trick a ton of times to hang speakers and such. It makes it so much easier! I use the same paint-stick hanger, works like a charm! It's amazing that we all invented this trick during our school years. My roommates would simply put a strip and they used to put many things at once on them. From a teddy bear to calender, we got the maximum out of the strip until it broke one day. Good read. Felt nostalgic about it. Love hearing that, thank you!! And the husbands never like me. Ha! Monkey Hooks are my favorite. I bought them at Lowes and they hold my 50 pound, 7 ft long mirror. Best part is they little small holes and no stud or additional anchors required. I second this! Monkey Hooks are a godsend! 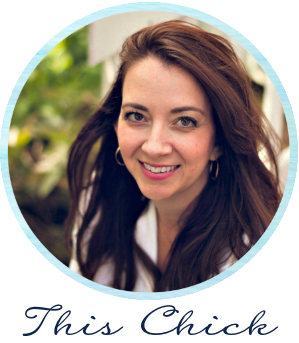 This is just another reason your blog is continuously one of my favorites. Because this is super smart and how have I never thought of it? I have a great way of hanging things - I just start wandering around with a hammer and nails and go to town. It doesn't end well. 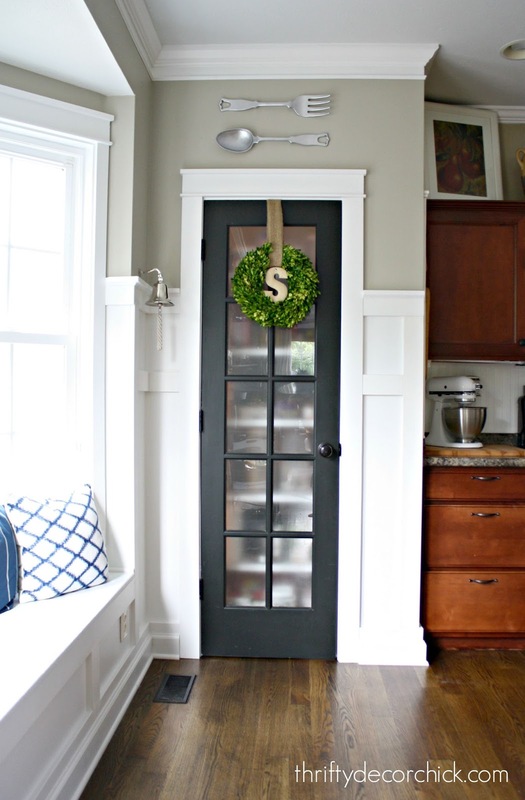 I'm also cracking up because I never once considered putting a piece of twine/string on a double hung item. Duh. Thanks for the post! Such great tips!! I love these and especially the paint stick and screw, it's always the hardest part to make the perfect spot on the wall. That's why it's usually left for my fiancé, ahah I should really work on that!